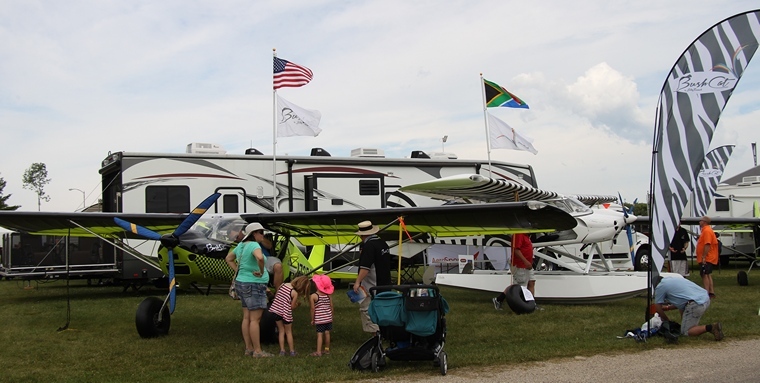 Today was the official opening of AirVenture 2015 and it is always nice to see the South African flag proudly displayed in the exhibitor's area of the world's largest aviation event. 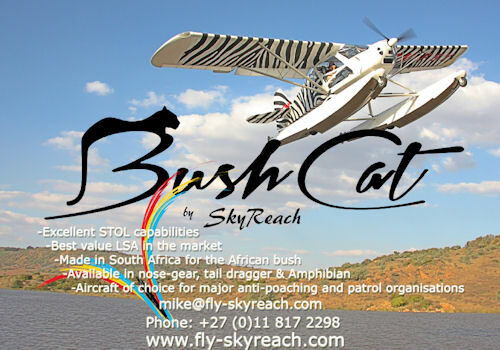 One South African company, Rainbow Skyreach reports huge interest in their Bush Cats. 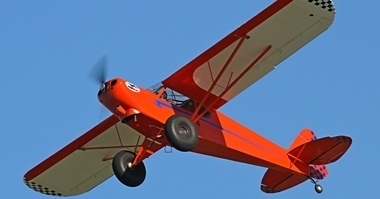 Three are on show, the Taildragger, Tricycle and Floatplane. 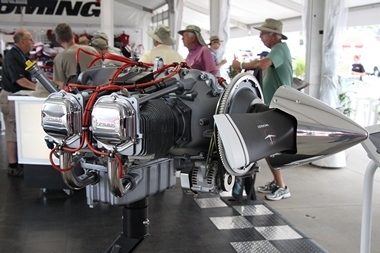 In 2014 they took the floatplane to Oshkosh and it promptly sold. Earlier in the year also exhibited at Sun and Fun and sold a second Floatplane. 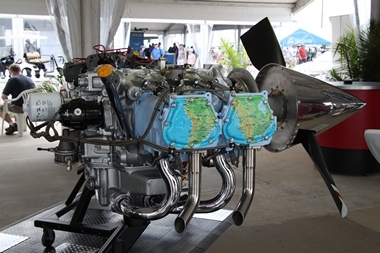 Piper had a mock-up of their new M500 on display whilst just across the road Lycoming had the full range of its engines on display. 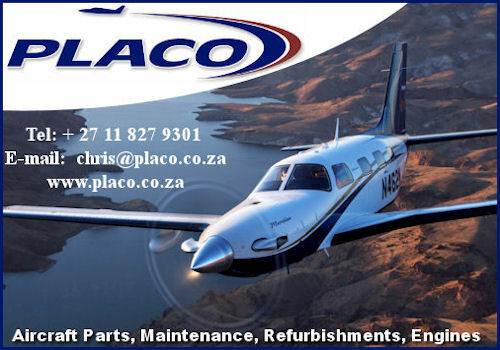 Both companies are represented in South Africa by Lanseria based NAC and Placo at Rand Airport. 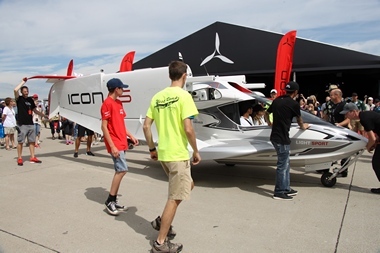 Icon aircraft had an impressive roll-out of their state of the art amphibian. It literally takes to the water like a duck. 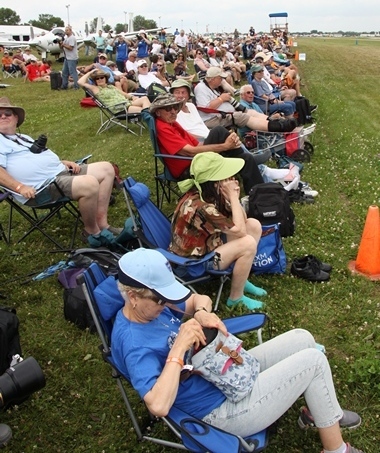 The variety of aircraft displayed and the standard of the performances during the afternoon's airshow bodes well for the rest of the week. The afternoon's show kicked off with a display by a team of Skydivers followed by the Baby Ace and P51 Mustang. 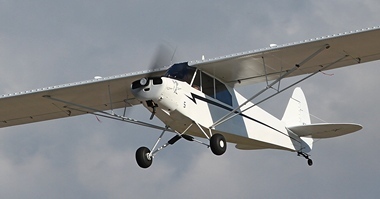 The Baby Ace was the first aircraft designed by Paul Poberezny the founder of the Experimental Aircraft Association. Paul passed away on the 22nd August 2013. This was followed by mass flypasts of wave upon wave of 104 military trainers. For the military buffs the highlights probably was the brief appearance of the Canadian Lancaster and the Mosquito, the only flying example in the world. Airbus brought it new flagship the A35O to AirVenture and an incredible display had even the Americans, all Boeing fans speechless. 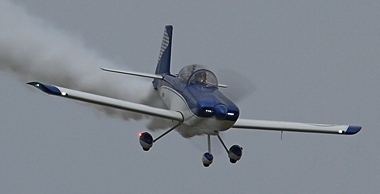 The Ercoupe, that strange little plane with its twin rudders that is incapable of stalling celebrated its 75th birthday. Proof to its popularity is the row upon row parked at the field. Burt Rutan needs no introduction. He is a genius and legend who has been responsible for the designing of some of the most iconic aircraft of our time. His Starship One was part of the afternoons display whilst his unconventional Boomerang that was parked in the statics area drew scores of curious spectators. The two seat tandem P85 on display in the static section is one seriously fast aircraft. Powered by a 425 Hp liquid cooled P85 it has a claimed top speed at 7,500 feet of 290mph. 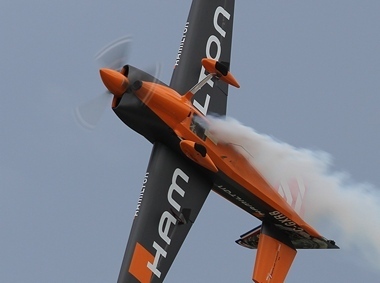 The aerobatic performers are without a doubt the �Rock Stars� of the airshow scenes. 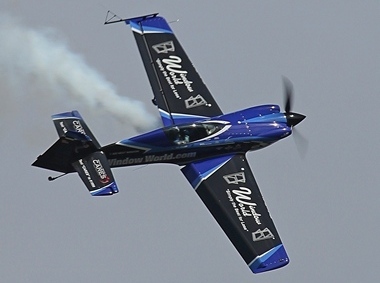 These dare devils of the sky are highly trained performers and their death defying flying thrills millions every year. 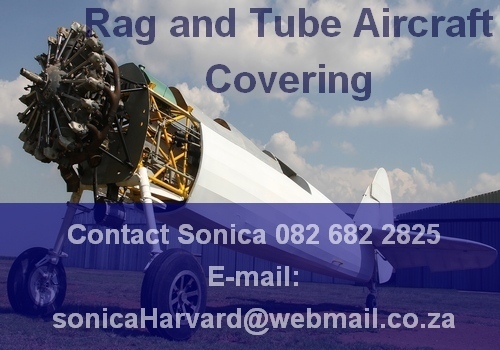 Formation flying is an art form off its own and the Aero Shell Harvards are true masters. Their precision flying is truly amazing. 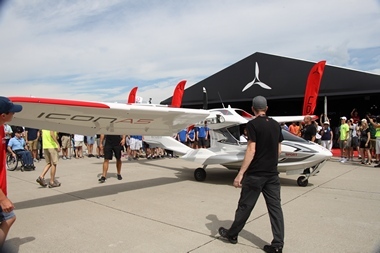 Afternoons are also time for demonstration flights and on day one it was the turn of Sonex whose factory is based at Witman Airfield, the base of AirVenture. 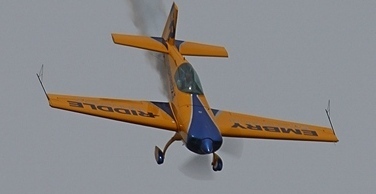 Crazy flying had its origins during the days of the Barnstormers and Kyle Franklin demonstrated his skills. 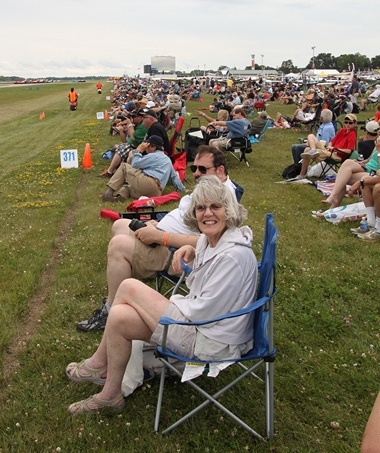 The Valdez Oshkosh challenge that started in 2014 returned this year and combined take-off and landing distances as short as 125 feet are not uncommon. Day one lived up to all expectations and the arrival of the F-22 Raptor will probably be the highlight of tomorrows highlight.